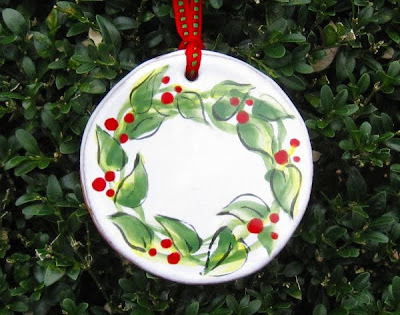 Holiday hand painted majolica ornament by Sue Adler. Photo by Sue Adler. We hope you will help us kick off the holiday season with a series of free, fun events we have organized for Small Business Saturday, on November 24th, which, as you know, is dedicated to small local stores, like ours. We don't want you to just shop, we want you to spend a creative day with us. You will paint your own holiday ornaments, learn to decorate with ribbons, find a perfect stone or crystal for your mood level. You will learn to wrap holiday gifts with minimal environmental impact. You will get a chance to read your poetry and have it published, listen to authentic fiddle music and limber jack, observe live painting and wood carving demonstrations. You will find a full program of events here. We regret to inform you that Think Long Island First store closed down on December 31st, 2012.